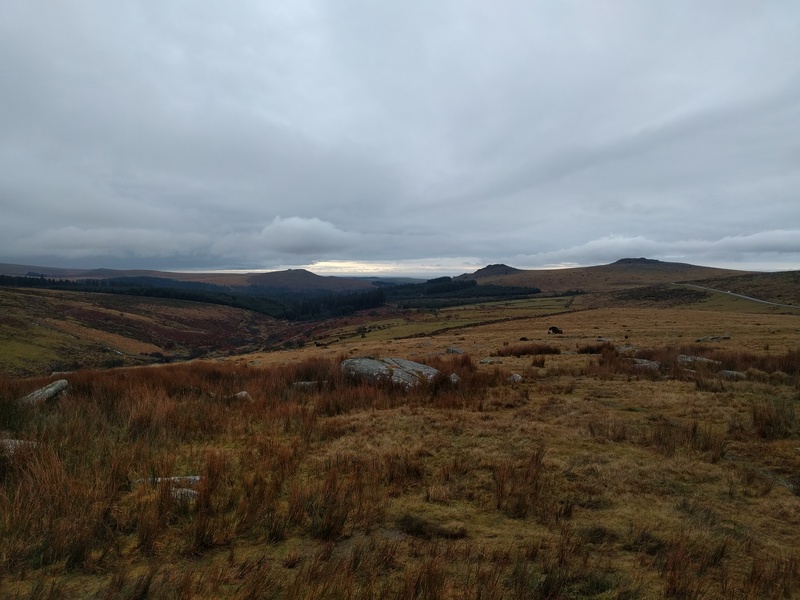 The New Year started with a massive dilemma – with the Fox Tor Cafe not opening until 11, it was pushing it to have a proper breakfast and get a walk in. Neatly solved by Phil and Sarah providing bacon sandwiches. General lethargy, though, meant it was still after midday that we finally got going on a walk. Today, I wasn’t up for a big exploration, and no one else made strong noises in that direction either, so we settled for the familiarity of Walkhampton Common. Even so this still gave the opportunity for a couple of members of the party to tick off a new tor or two. 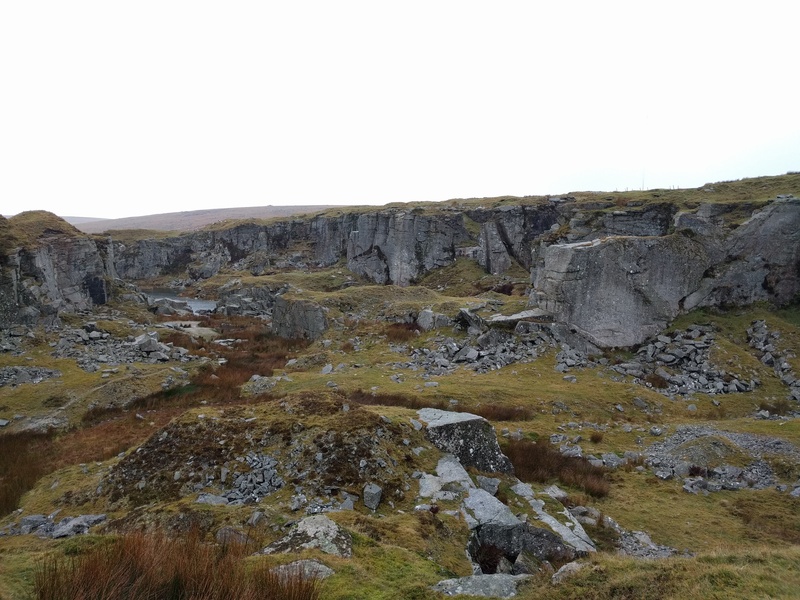 Past the brewery and along the old railway track and soon we were veering off right to Foggintor. Next up was Swell Tor, and we opted to avoid the top of the formation in favour of the actual tor a little lower down from the top. 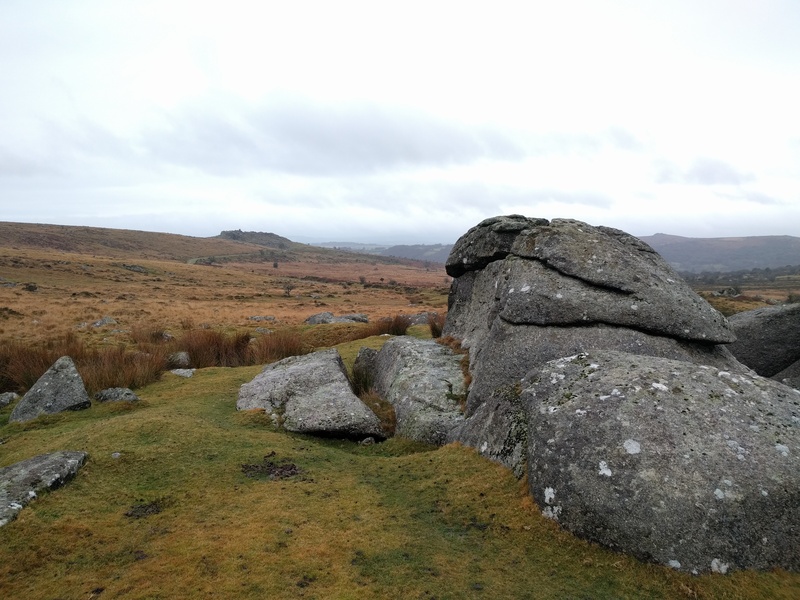 Then we dropped down to the old railway track again and visited Yes Tor and its twin Fur Tor. 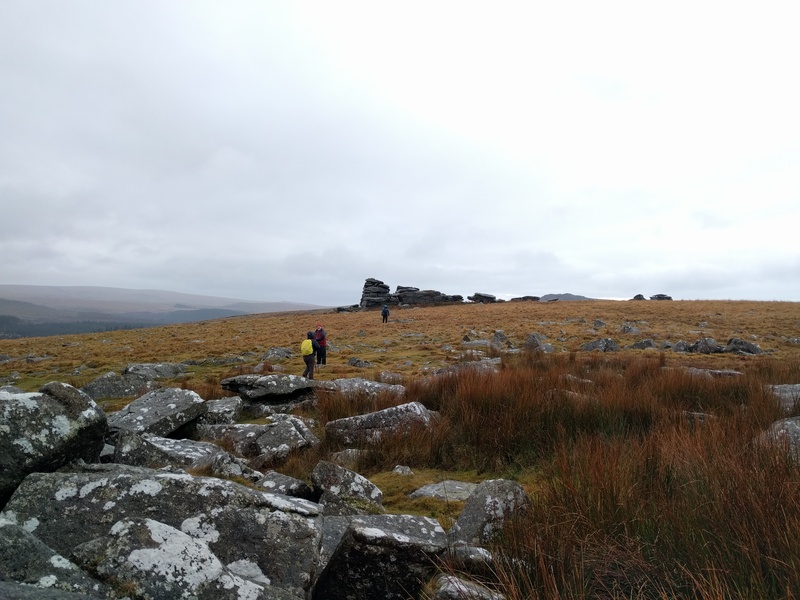 With the day advancing, a trip to a favourite tor , Ingra, was out of the question and so we continued up the slope to Leeden Tor. Here the cold really started to seep through and apart from stops for photos we weren’t there long. 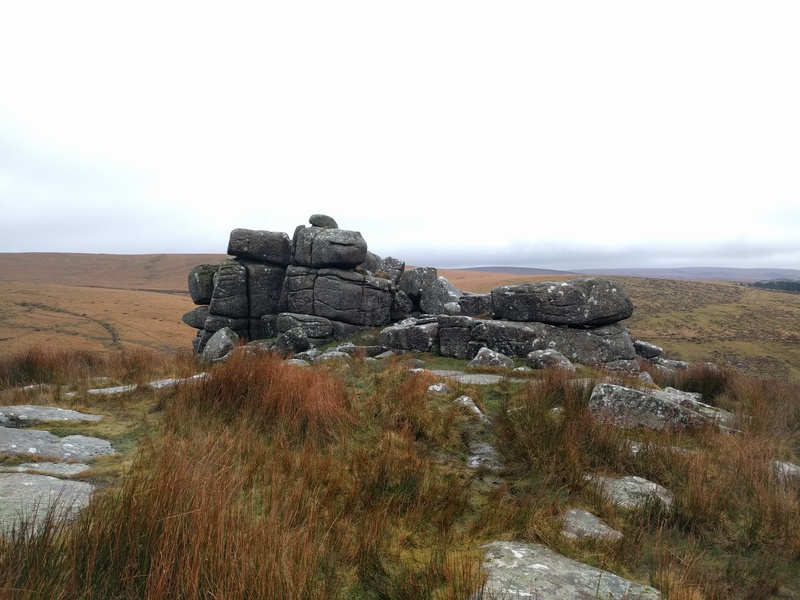 Next up was across the road to Black Tor. A drop down to the river to cross over and climb up to Hart Tor, and then we were heading back for the warmth of the Fox Tor Cafe and pub.